I just downloaded both the WAMP install file, the MEAN install file and installed them both. I have installed the mean stack on top of the wamp stack and now it works. When I try to start mongodb directly in the laragon terminal, the dbpath seems to be pointing to "C:\data\db\". So that is not the right path. But when I look in the configuration file mongod.conf the dbpath is actually configured correctly. So I don't understand where he gets the wrong path from. 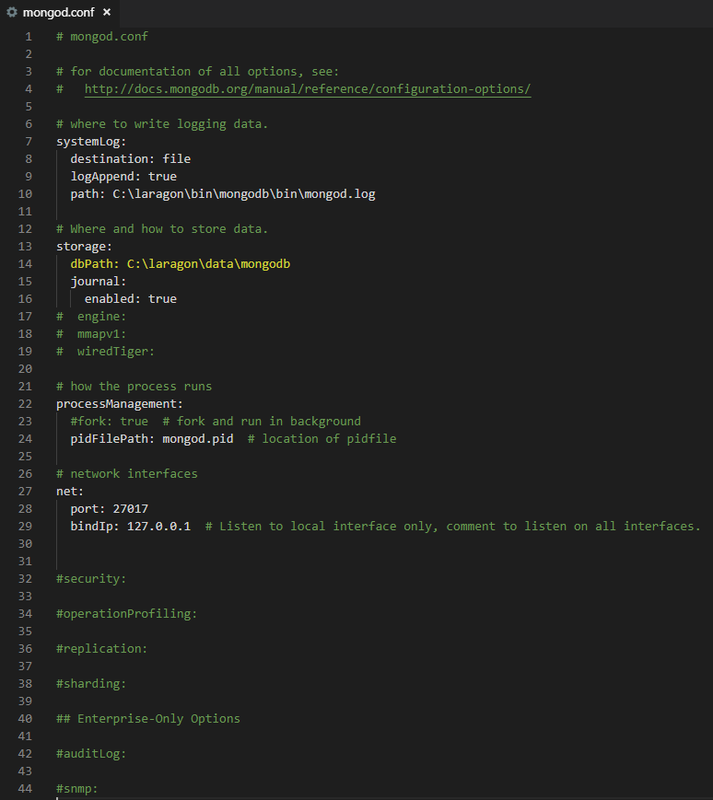 I've tried installing mongodb on the php stack by following the steps in the referenced thread. So I downloaded the zip from mongodb, extracted it to bin/mongodb. I also installed the mongodb PHP extension.